For a product as lightweight and commonplace as a plastic beverage container, the staggering volume of heavy-duty research, science and engineering work that goes into its creation is truly extraordinary. 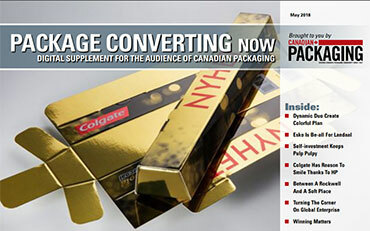 And while most ordinary consumers are unlikely to give it much thought while enjoying their favorite beverage— packaged in a convenient, resealable and attractive PET (polyethylene terephthalate) bottle—the plastic processing technology that makes it all possible in the first place is naturally top-of-mind for companies like Husky Injection Molding Systems Ltd. of Bolton, Ont. Founded in Toronto in 1953 as a humble garage machine shop in the home of German immigrant Robert Schad, Husky’s relentless rise and growth to become one of the world’s largest suppliers of plastic-processing machinery is arguably one of the most compelling success stories in the modern history of Canadian manufacturing. Plastic bottle preforms made by Husky. Today employing over 4,000 people worldwide—including about 1,000 production and office staff at its international headquarters in Bolton—the privately-owned company has few corporate domestic counterparts in any industrial sector enjoying its exceptional worldwide geographic reach and universal acclaim for the world-class quality, craftsmanship and performance levels of its equipment. 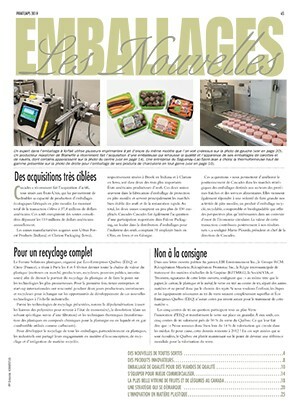 Specializing in the design and manufacture of injection-molding machinery used in the production of PET containers and closures for beverage and food packaging applications, Husky is currently estimated to control more than 50 per cent of the global market for PET processing systems, which translates into many billions of plastic beverage containers produced around the world each year. 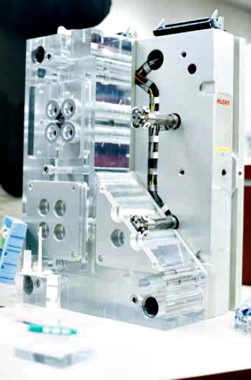 Jointly-owned by leading private equity groups Berkshire Partners, LLC and OMERS Private Equity Inc., the company’s broad product portfolio includes highly automated injectionmolding machines and turnkey workcells, hot runners, molds, tooling and all other key related technologies used to produce high-quality rigid-plastic preforms, which are then inflated on other blowmolding or other processing equipment into the finished beverage, food and pharmaceutical containers. Husky Injection Molding Systems director of engineering development Roman Pirog, who joined the company 21 years ago, discusses the technical challenges and intricacies involved in the production of plastic bottle preforms, produced worldwide in hundreds of shapes and colors on the high-performance injection molding machines manufactured by Husky at its headquarters in Bolton, Ont. “I really believe that diversity is the key to our company’s ongoing success,” says Husky’s director of development engineering Roman Pirog, a mechanical engineering graduate of the University of Toronto who joined the company 21 years ago. “I think that we are a very unique Canadian company in terms of how much of our product is sold globally,” says Pirog, citing an extensive machine installation base spanning well over 100 countries across all continents. In addition to other strategically-located equipment manufacturing sites in the U.S., Luxembourg, Austria, Switzerland, Czech Republic and China, the company also operates dozens of technical support centers worldwide to provide reliable service to its far-flung customer base, according to Pirog. 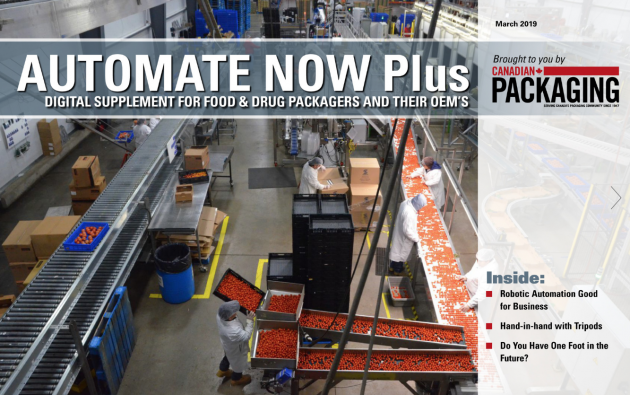 The HyperSync systems for production of pouch fitments, flip-top shampoo closures, and other specialty plastic closures for liquid detergents, condiments and various other liquid food and nonfood products. 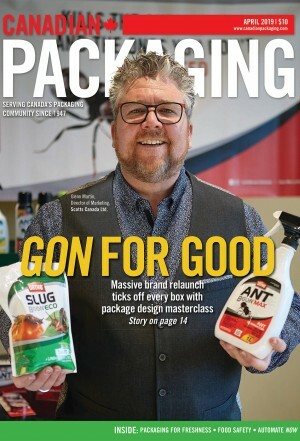 “We take a lot of pride in the quality of all pre-form systems and components we make here,” Pirog told Canadian Packaging on a recent visit to the company’s AMC (Advanced Manufacturing Centre) building, dedicated to the design, development and testing of new machines assembled for bottle manufacturers and beverage end-users enjoying robust worldwide demand growth for PET containers. In addition, Husky also supplies its machines to customers who only use them to make mass quantities of preforms, which look like thick little rigid test-tubes with precision-cut threading around the neck area, for sale in the commodity markets worldwide. 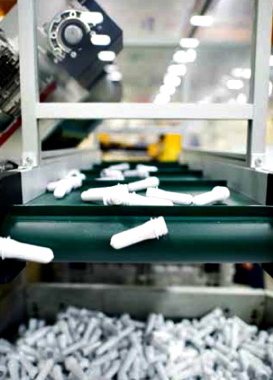 As the preforms are made, the Husky machines are also used for incorporating the required barriers inside the preform structures to meet the customers’ various specs for oxygen and light permeation, as well as the coloring agents to achieve the required final look of the finished container or closure. “We always strive to provide our customers with end-to-end solutions that meet their needs,” says Pirog. “There’s a lot of science that goes into making a preform,” he notes, explaining that the threads molded into the preform remain unaltered during the subsequent process of inflating and pressurizing the main body of the preform into the final bottle shape. According to Pirog, the high demand for Husky machinery is driven not only by the broader ongoing shift from glass containers to plastic, but also the high levels of design creativity and innovation taking place in the plastic packaging industry. “We don’t dictate the bottle shapes; we assist our customers in getting the shapes they think will help them sell their products most effectively,” he explains. An aerial view of the many Husky injection molding systems being tested and put through their paces inside the product design, development and testing lab housed inside the company’s ADM (Advanced Manufacturing Centre) building in Bolton. According to Pirog, the high performance and quality levels delivered by Husky-built machines are closely linked to the company’s pioneering prowess in the development of hot runner molds incorporated into those systems. “The hot runner technology has become a fast-growing business segment within Husky in recent years,” Pirog reflects. Pirog explains: “Essentially, the hot runner’s job is to make sure every cavity in the mold behaves the same way during the fill process to ensure perfect melt distribution,” Pirog explains, “so that no one cavity gets filled with resin sooner than the other. “This melt balance has to be achieved simultaneously with uniform thermal distribution,” says Pirog, noting the number of cavities in the mold can range from just two—typically used for system testing and troubleshooting—up to 192 cavities or more on the high-cavitation systems. “It takes a lot of science to make it work at fast cycle speeds and with a high degree of repeatability. “We are a very engineering-intensive company with a lot of tools at our disposal, some of the best in the world,” Pirog says. “But it’s not just about the tools: it’s about knowing how to use those tools,” he points out. 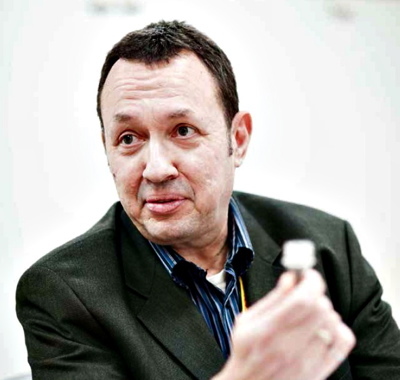 “You can have your theories, assumptions and analysis tools, but there’s no substitute for proving them as fact with real testing on the shop floor,” he says. Among the broad range of leading-edge technologies comprising Husky’s formidable toolkit, German industrial automation systems supplier Beckhoff Automation LLC occupies a very special coveted spot as Husky’s chief supplier of machine control and networking technologies. 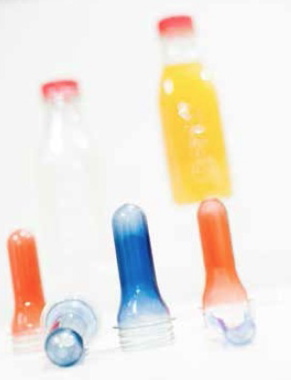 Shaped like little thick test tubes, the molded PET bottle preforms are collected for product quality assessment. According to Pirog, Husky’s “special relationship” with Beckhoff traces back to the late 1990s, when it first decided to leverage the promised advantages of then new PC-based control technology across its main equipment lines. 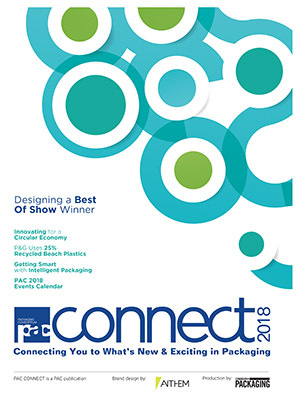 “Beckhoff was one of the very first automation suppliers to provide industrial PC solutions, as well as the EtherCAT (industrial Ethernet) technologies, in the marketplace,” says Pirog. “Prior to working with Beckhoff, our systems were based on the use of individual PLCs (programmable logic controllers) to control most of the machines’ functions. “It was fine for the time,” he says, “but it certainly had limitations in terms of speed, processing and even operator interface capabilities. “Choosing Beckhoff as a technology partner proved to be a very good solution both for us and Beckhoff, who has also grown robustly over the years by extending its technology into other machinery sectors. Pirog says he is especially fond of the new, large-sized Polaris brand HMI terminal jointly developed by Beckhoff and Husky a couple of years ago as a new standard operator interface for all Husky injection molding machines. 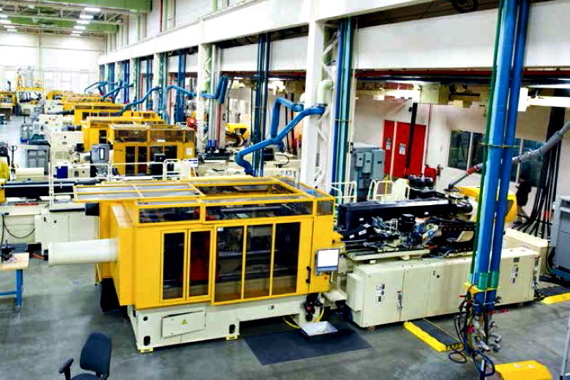 As Pirog explains, the injection molding machinery has origins stemming from the basic machine design that would have multiple moving axes, dials and gauges for the operator to monitor and interpret properly. “What we want to do is provide the operator with the speed, the information he needs, not the legacy information that should already be embedded in the machine to make it intelligent and easier for the operators. the modular terminal system to implement a multitude of advanced I/O (input/output) functions throughout the machine operation, while providing detailed data for statistical analysis. “There are usually hundreds of Beckhoff I/Os deployed on a typical Husky injection-molding machine,” Pirog explains. 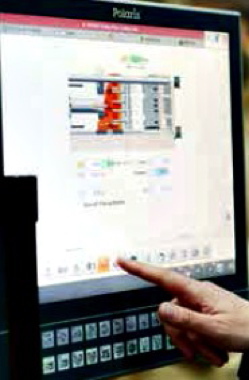 User-friendly features incorporated into the new large-size Polaris HMI (human- machine interface) terminals were jointly-developed with Husky’s long-time automation partner Beckhoff Automation, used across the company’s full range of injection molding systems. Says Pirog: “Every time the two halves of the mold come together at high speed to make the preforms, you have several tonnes of mass that need to accelerate and decelerate over a length of a half-meter and come to a controlled stop—in under a half-second—to avoid tool collision or high contact stresses. As Pirog explains, the injection axis is another beneficiary of tight control through high-frequency, closed loop scan rates that ensure high repeatability in filling and setting the molded parts. Pirog relates that Husky and Beckhoff actually conducted an extensive ergonomic analysis study to ensure an optimal user-friendly interface design for the operator, including eye-level positioning of the screen and high-definition graphics. Husky is a world leader in manufacturing of hot runner machines used to enable even melt distribution in the molds. 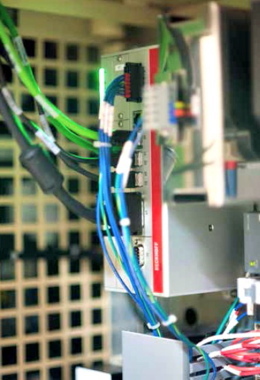 A close-up view of the C6930 industrial PC controller from Beckhoff used to drive all of the Husky machines’ main functions. “The vivid graphic display of all the different processes going on inside the machines provide the operator control with an intuitive feel for what the operator is controlling. “The screen is laid out to flow in the same way as the processes inside the machine, with the preform displayed on the screen being geometrically accurate in scale to the physical preform being manufactured. “This enables the operator to work via the HMI screen to adjust pre-determined machine parameters with maximum precision. “In the past, the operator would actually have to calculate the shot volumes and make the required adjustments, whereas now the Husky machine control adjusts all the percentages automatically, preventing the risk of calculation errors,” says Pirog. “The Polaris HMI generates an instant visual feedback from the Beckhoff I/Os right on the screen, be it cycle breakdown, event sequencing, energy measurement, stroke positioning, pressure tonnage, valve status, or any other critical piece of data. “Our development strategy roadmap is guided by embedding more and more intelligence into the machine,” Pirog states. In a similar vein, the Polaris interface incorporates a mix of “soft” touchscreen controls, requiring just a tap of the finger to activate, and tactile control buttons that actually produce a click that the operator can feel upon making contact. “Our machines have come a long way since I started working at Husky,” Pirog says, “and Beckhoff technology has played a very positive impact on part quality, consistency, repeatability and cycle times. “When I started, the average cycle time to make preforms on a 72-cavity mold was about 14 seconds,” he recalls, “but today we can go as fast as five seconds on a 96-cavity mold. “It’s a big productivity gain that accurately reflects the value we provide to the market with more efficient, faster machines producing much better part quality,” Pirog relates. “This improvement was not achieved in one Eureka moment: we first went from 14 to 11 seconds, then to eight, and so on,” he explains. “There is always a limiting factor as to why a system can’t go faster,” he says, “but by identifying these factors and working to mitigate them, we have managed to change the market and change the expectations of productivity in preform manufacturing.